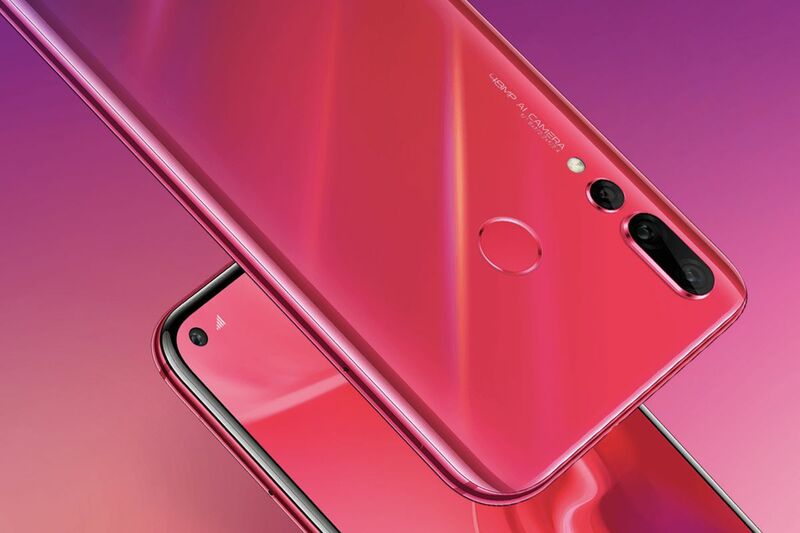 After just a coupled weeks that Honor unveiled the Honor View 20 which is a major screen phone with a punch-hole camera hole on the display, the next Huawei Nova 4 is yet another big thing to watch out for. After series of teasing and mock-ups that had flooded the entire web space, Huawei had finally unveiled the official Nova 4. Despite being an amazing phone at least based on the features and what we’ve seen on the list, one other obvious thing we saw was the camera hole on the screen just as it’s been rumored to be on the next Samsung Galaxy S10. Although the ounch-hole isn’t limited to Huawei phones considering the fact that Samsung had earlier announced this on it’s forth coming Galaxy A8s which is very similar to the Huawei Nova 4 within the mid-range dynasties. Although the punch-hole on the Samsung device is quite huger than that on the Nova 4 but whether that will affect image quality, we wouldn’t know until we test but considering the large 25 MegaPixel camera, all should be fine. Aside the punch-hole similarities between the Nova 4 and the Honor View 20, both devices has 48 Mega Oixel main camera on the rear which is part of the three-camera setup on the Nova 4 but we’re to see how the Honor View 20 would look like from the back since Honor hasn’t shown it yet. One obvious difference is that the View 20 will come with HiSilicon Kirin 980 while the Nova 4 is powered by the Kirin 970 processor found in the View 10 and Huawei P20 Pro.